When a home emergency happens for the first time, homeowners often panic and get a little paralyzed. You often hear “What do I do know?” or “How will I fix this?” are very common during these situations. The answer, however, depends on the problem and its severity, so let’s take a look at some of the most common household emergencies that every homeowner must learn to handle by themselves. 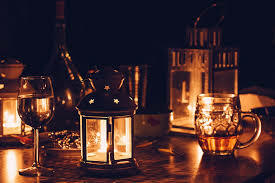 When it seems like there’s sudden power outage—but neighbors still have lights on—it is probably your home is experiencing an electrical fault. Get a flashlight and check the circuit breaker, GFCI receptacle, fuse box or the main breaker, which is usually located at the basement of the house. If yours is a GFCI receptacle, sometimes all it takes is just pushing the reset button. If doing so didn’t work, call a local electrician. If you have a breaker instead of a GFCI outlet, check for blown fuse. Replace it and then flip the breaker on. If doesn’t work, again, call a pro. 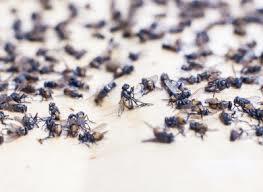 If you see ants marching—or bees, mites, bed bugs or any other pests taking up residency in your house—spray some pesticide on their ‘hot spots and anywhere you see the highest concentration of these pests. Oftentimes, they’re somewhere around or near window frames, back of the cabinet or near the pipes. If the problem persists and seems like it’s getting out of control, it’s best to leave it to the pros. Constant leaking of faucet isn’t just irritating to the ear, it also wastes precious water and will hike up your water bill. 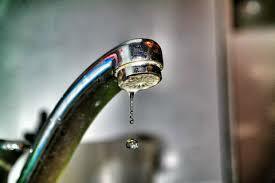 While this is one of the reasons to call a plumber, try tightening the faucet first or changing the washer yourself. If you’re not confident to do this or the leak is more severe, that’s when you call a licensed plumber. Not just in the toilet, but could also be in the bedroom or when you’re locked out of your own house. Sometimes, locks just get stuck for no apparent reason. But you don’t have to break the door to unlock it. Try calling someone from the other side of the door if they can unlock it for you. If not, use a straightened hair pin or paper clip to push through the small hole in the center of the door knob lock to unlock it. If it doesn’t work, loosen the door frame by unscrewing the hinges before kicking it open. That way, you’re sure that your door (and your bones) remain largely intact. Although experts recommend to always leave the emergencies to the pros, some household problem are quite easy to fix and requires minimal troubleshooting skills. However, if you think you cannot handle it yourself, you can always count on the experts. Next story What Happens to Your Body When You Quit Added Sugar?